Today's Image of Mars is remarkable because that little white dot you see is none other than Mars Exploration Rover Spirit. The photo was taken at the exact right time, and in the exact right position, that the sun was reflecting off of Spirit's solar panels. 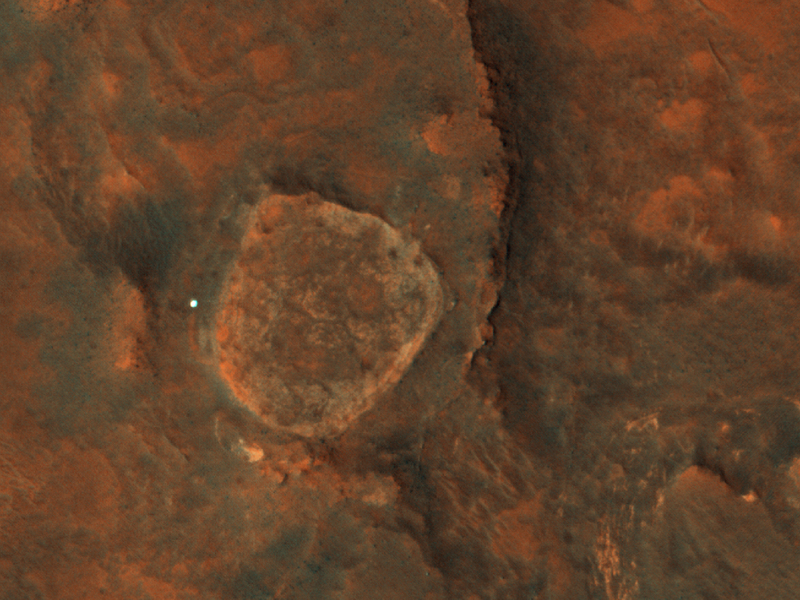 Apparently this was done completely by accident and was a surprise to the HiRISE team when they discovered it. Spirit was last heard from on March 22 2010; this photo was taken on May 25 2011. This image links to the original with the caption provided by HiRISE.